As early as next year, a series of weapons tests is scheduled to take place under a stipulation in the National Defense Authorization Act (NDAA). Did Trump Really Bring Down Price of F-35? The NDAA holds that, until the service proves that the F-35 can adequately conduct air-support operations in combat, they cannot retire the A-10, a Cold-War era ground-attack aircraft affectionately known as the "Warthog." Brigadier General Scott Pleus, who once piloted the F-16 and now directs the integration office for the force’s F-35 Joint Strike Fighter program, noted that “The A-10 was built to deal with tanks in Europe…A low, slow, big cannon on the front of it meant to destroy tanks and assist troops in contacts and do [close-air support (CAS)],” according to Military.com, he added, "CAS is a mission, not an airplane." The seven-barrel, 30 mm GAU-8/A Avenger in the Warthog’s nose is the cannon Pleus was referring to, which fires at a fixed rate of 3,900 rounds per minute. In May 2016, test pilot Lt. Col. Raja Chari told Defense News that the service should clarify its needs before deciding on a platform. "You need to really define: What exactly are you talking about when you say [CAS]? The way you define the question will dramatically affect the answer that you come up with," he said. "Are you talking about CAS in a low-threat environment, or CAS in a high-threat environment? Basically, contested or uncontested?" 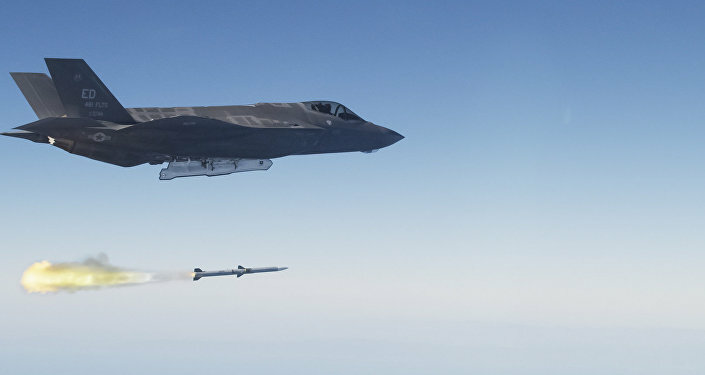 F-35 pilot Col. Joshua Wood does not think that the test will be fruitful, telling National Interest in May 2016, "When you try to have a comparative analysis of a single-mission platform like the A-10 against a platform like the F-35, which is fundamentally designed from the ground up to do something completely different…you run the risk of drawing unrealistic conclusions." The rotary cannon used on the Marine Corps’s AV-8B Harrier II jump jet is designed to be mounted on the Air Force’s variant. The GAU-22/A can hold 182 rounds and is a four-barrel variant of the 25mm GAU-12/U Equalizer. 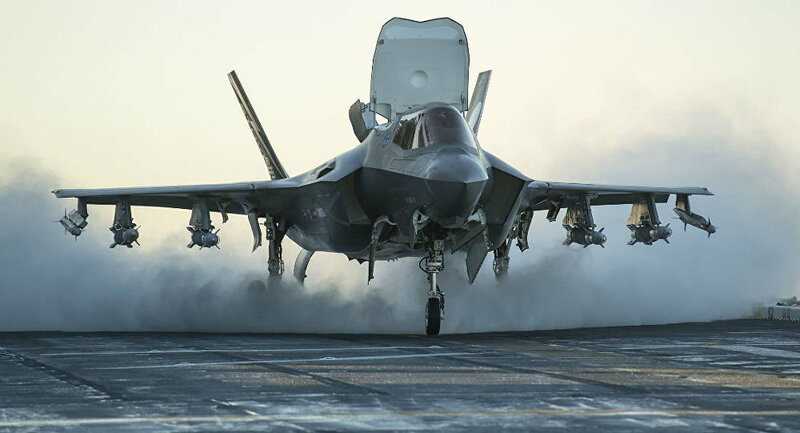 Plans are in place to mount the cannon externally, both on the Navy’s F-35 aircraft carrier variant and the Marine’s F-35B jump-jet variant, with the ability to hold 220 rounds. According to Pleus, the Defense Department’s Operational Test and Evaluation Office will facilitate the comparison test, and he believes that the A-10 would outperform the F-35 in a no-threat environment, suggesting, "as you now start to built the threat up, the A-10s won’t even enter the airspace before they get shot down — not even within 20 miles within the target." He offered that Air Force leadership must decide how to allocate funds for the platform that can best perform certain operations. "Where are you getting your bang for your buck? A single-platform A-10 that only does CAS and can’t do anything else and it has to be in an uncontested environment is probably not a realistic place for us to be continuing funding…for the future," he said.